There’s a certain allure about fire lookouts in the Pacific Northwest. The solitary towers look out over wide swaths of the forest for which the region is known, with few cities or towns in the vicinity. Most are roughly the size of your childhood bedroom, furthering the sense of isolation, an image that famed beatnik poet Jack Kerouac cemented in the minds of readers with his novel Desolation Angels. The book was inspired by the 63 days that Kerouac served as a fire lookout on Desolation Peak in 1956. 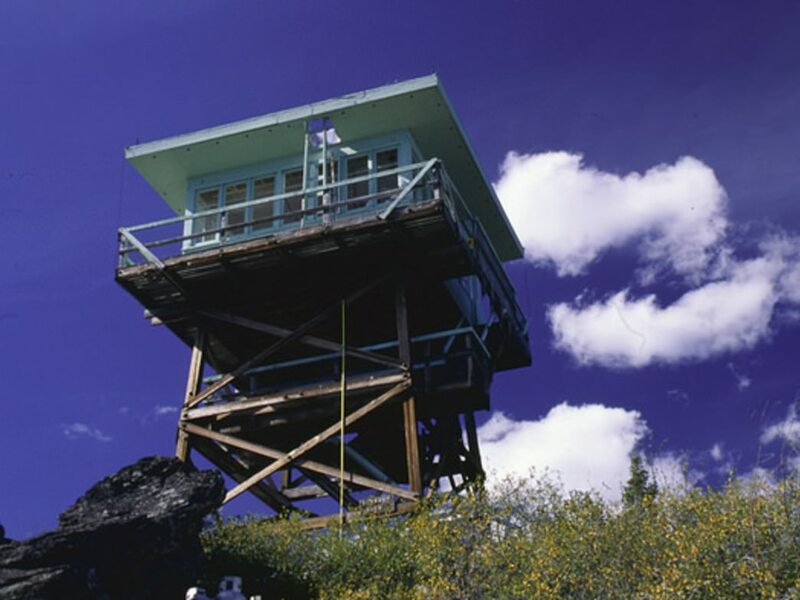 The lookouts of Kerouac’s day were typically staffed by experts or volunteers, but numerous fire towers today have been restored and are available for public rental. 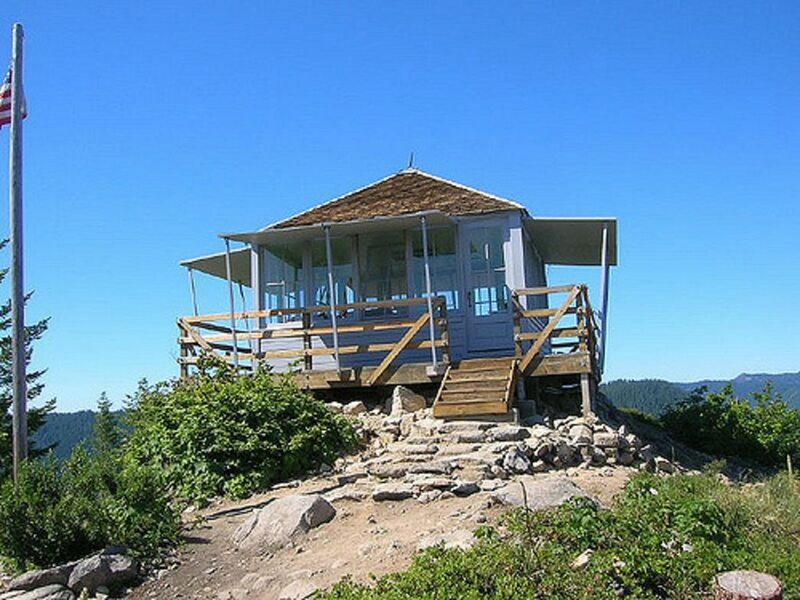 In fact, Oregon has about 20 inactive fire lookouts available for rent throughout the state. An item on many adventurers' bucket list, the lookouts fill up months ahead of time—meaning that if they're on yours, too, you should start planning your trip now. What should you know before planning an overnight at one of the fire towers in Oregon? Here's what to know for scoring—and enjoying—these unexpectedly awesome lodgings. 1. Make reservations as far in advance as possible. The booking window for most lookouts open at 7 a.m. PST, six months ahead of time. If you’re looking to schedule a weekend outing, don’t be surprised when someone else reserves the lookout by the end of that first day (or, in some cases, by the end of that morning’s coffee break). Instead, Verschoor recommends trips during off-peak times. “If you want to do it during the week, it’s a lot easier than during weekends,” he says. He also advises campers to make reservations before or after the height of summer, such as in early to mid-May (when most fire lookouts open for the season) or in late September or early October. 2. Prepare to come prepared. 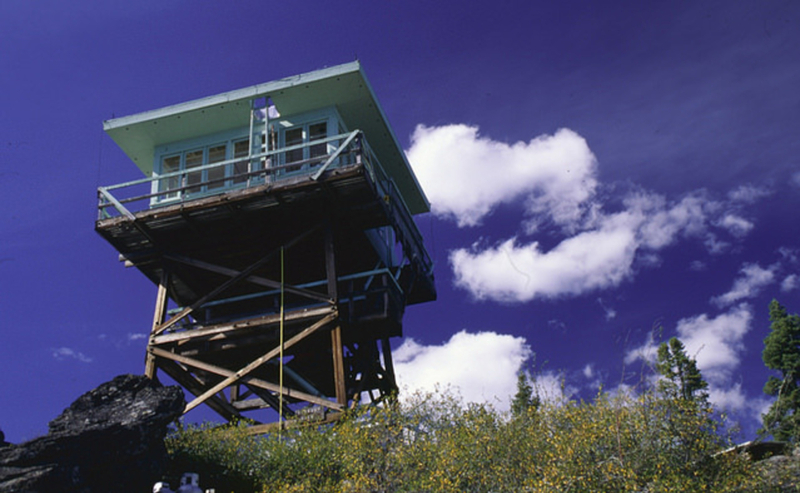 You’ll want your basic camping gear, but before packing up, research the specific fire lookout to see what amenities it offers. 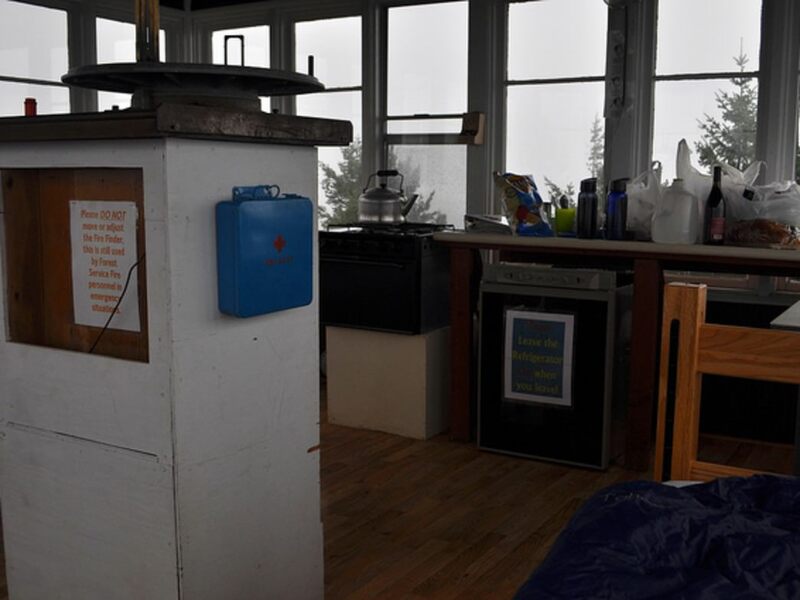 The Fall Mountain Lookout Tower in central Oregon is one of the few fire lookouts to offer electricity, for instance, while others are considerably more spartan. Whether driving to the foot of your fire lookout or hiking in from a few miles out, be sure to account for water needs that might arise during your stay. None of the cabins have running water, and few can be counted on for nearby streams, lakes, or rivers that may yield filtered or treated water. 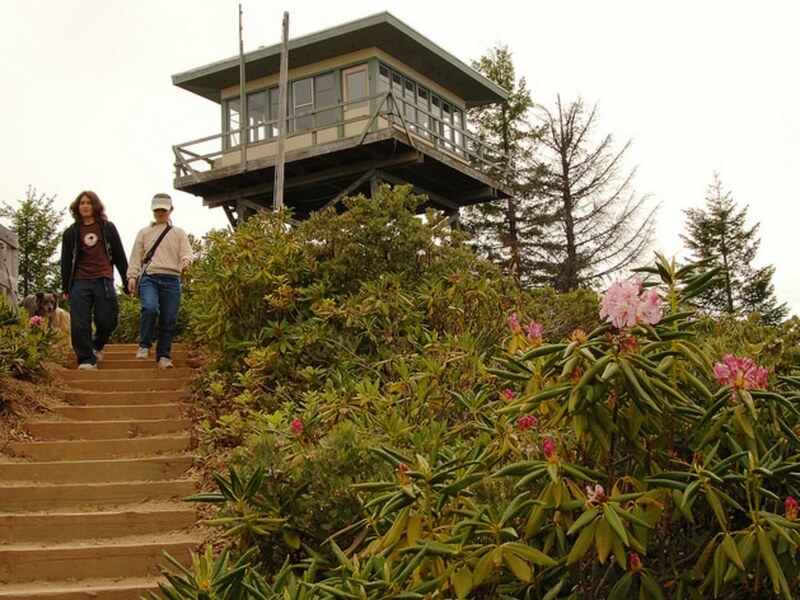 In the days leading up to your stay, make sure to contact the local Forest Service Office for any key or gate lock numbers that might otherwise prohibit access to the fire lookout. A ranger won’t be on-site to check you in, so you’ll want to have all necessary access information well in advance of your trip. While you’re at it, ask your local Forest Service Office about road conditions. Given the remote nature of many lookouts, roads might be washed out, snowed-in, carved up by potholes, or otherwise inaccessible to vehicles with lower clearance. 3. Do your research before you choose. Most fire lookouts have a lot in common—panoramic views and remote outposts come to mind—but research a few beforehand to see what each offers that’s unique to that particular locale. Odds are good you’ll find something to love that’s unavailable at any of the state’s other lookouts available to rent. Snow Camp Lookout, for instance, is one of the few lookouts to deliver million-dollar coastal views. Perched on the peak of Snow Camp Mountain, the lookout offers views of the Pacific Ocean in both southern Oregon and northern California. Fivemile Butte, near Mount Hood, is one of a handful of lookouts open year-round. 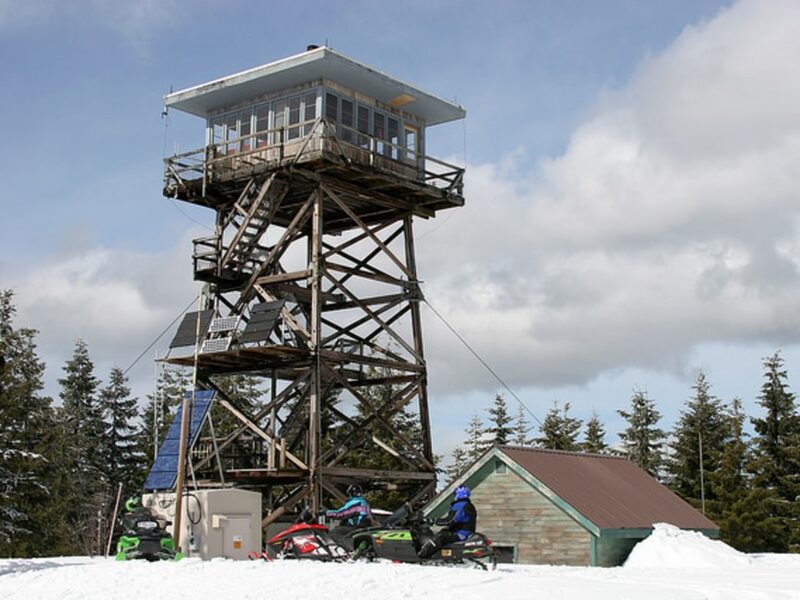 The road to the lookout closes every winter, so winter campers routinely cross-country ski, snowshoe, or ride snowmobiles to the lookout when the snow falls. (Warner Mountain Lookout, in the Umpqua National Forest, and Clear Lake Lookout, in the Mount Hood National Forest, are other such lookouts.) If you manage to snag a winter reservation, head back toward Highway 26 to go snowshoeing at Trillium Lake or cross-country skiing at Teacup Lake. 4. It’s worth it to wake up early. Interested in wildlife? Most conventional campsites don’t get much, owing to the cars, RVs, and human noise that scares away most critters. Verschoor, who has visited roughly 1,600 fire lookout sites in the United States and Canada (both sites that currently host a lookout, or a viewpoint where a lookout once stood), has seen plenty of wildlife over the years, including bears. 5. Soak up some Oregon history. 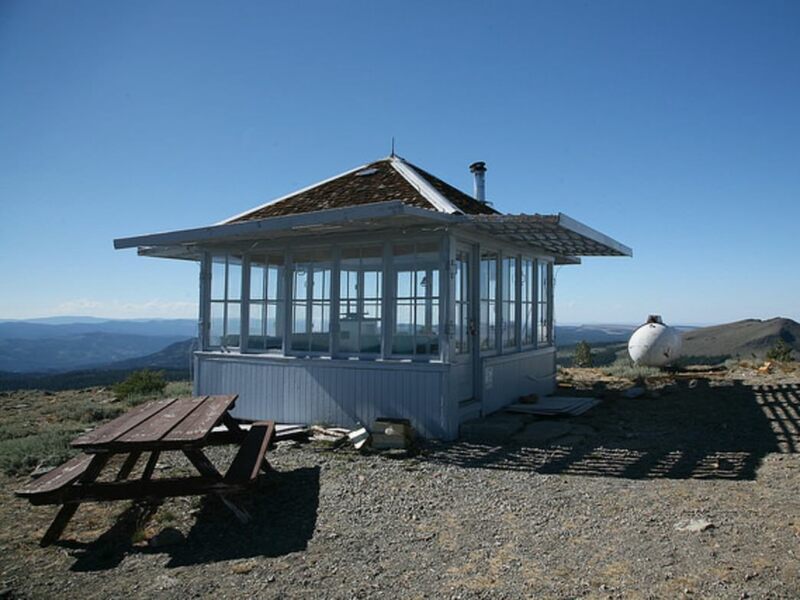 The original lookout atop Snow Camp Mountain was destroyed in 2002 by a fire that burned more than 500,000 acres of the Siskiyou National Forest in southern Oregon and northern California. It was rebuilt two years later. Look one direction, and you’ll see barren, grass-covered hillsides surrounding the lookout; in another direction, untouched forests show what could have been. The Gold Butte Lookout in the Willamette National Forest, meanwhile, was part of an aircraft warning system during World War II. Staffers scanned the skies, night and day, for passing aircraft. Today, that same 14x14-foot lookout hosts campers between early July and mid-October. Guests lucky enough to snag a reservation can hike the nearby Opal Creek Wilderness (where relics of old mining operations still line the trail) and enjoy unbridled views of Mount Jefferson, Mount Hood, the Three Sisters, and more.